Every organization is different, with different requirements and workflows. For example, one organization might need daily synchronization with QuickBooks Online, and another might want to automatically copy new events to their Facebook page. 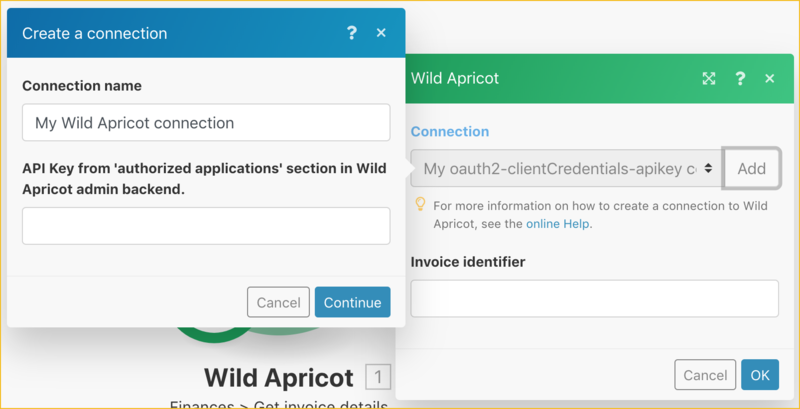 Wild Apricot cannot anticipate and implement every possible scenario, but we can provide the tools that allow you to build your own automated workflows. Using them, you can automate repetitive manual processes involving Wild Apricot and other software. To provide these tools, we have added a Wild Apricot module to Integromat, an integration and automation platform. 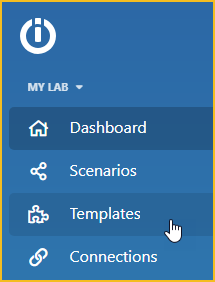 Within our Integromat module, we provide templates that you can use to build and run your own automated integration scenarios. Using Integromat's drag-and-drop interface, clients (and partners) can harness the power of Wild Apricot's API without having to understand or write code. For more ideas of what you can do with Integromat, see this blog post. The following steps are involved in using the Wild Apricot module in Integrom. Begin customizing and running scenarios. To set up an Integromat account, go to integromat.com and click the Sign up button. You can sign up for free or choose any of the paid plans. The Free plan allows you up to 1,000 operations a month. The Basic plan ($9 USD/mth) allows a maximum of 10,000 operations per month. Choose the Server application option then click Continue. Enter Integromat as the application name. Copy the API key and save it somewhere. You'll be needing it when you start using Integromat. 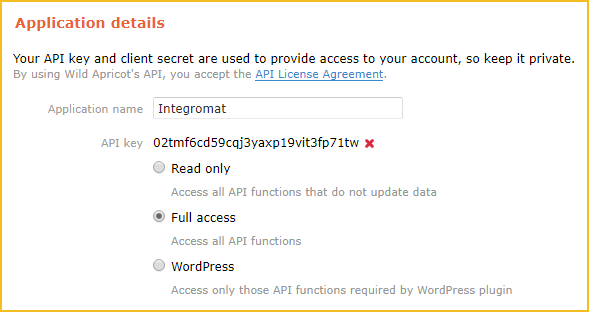 Now that you have an Integromat account and a Wild Apricot API key, you can start customizing and running the templates we've set up in Integromat. These templates perform commonly requested processes, such as sending members messages on their birthdays. You customize these templates or run them as is. 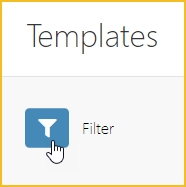 Click Templates within your Integromat menu. 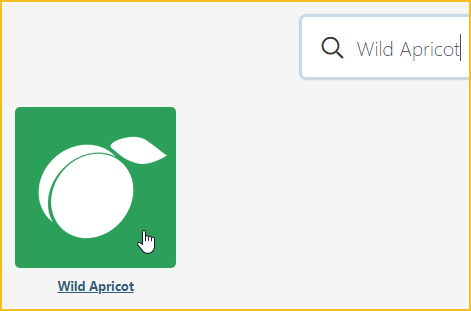 Search for Wild Apricot then click the Wild Apricot icon. Select the Wild Apricot template you want to use. Click Create new scenario from template. Choose the name of your organization (if not already selected) then click Continue. Click Add beside the Connection field, and paste the Wild Apricot API key you copied when you authorized Integromat as an external application in Wild Apricot. Depending on the template, you may be required to provide additional parameters. After you've completed all the required fields, Integromat will create a scenario from the template and the information you provided. You can then modify the scenario as needed. For instructions on using templates and modifying scenarios, click here. For a step-by-step guide to building a new scenario, see this blog post.